If you named Chinese food as your most-craved ethnic food, you're not alone. According to Parade magazine, 76% of the country regularly eat Chinese food. Snd it's no wonder. There's something utterly comforting about succulent stuffed buns and dumplings, velvety stir-fried meats, and tender noodles - fat or thin - bathed in luscious sauces. 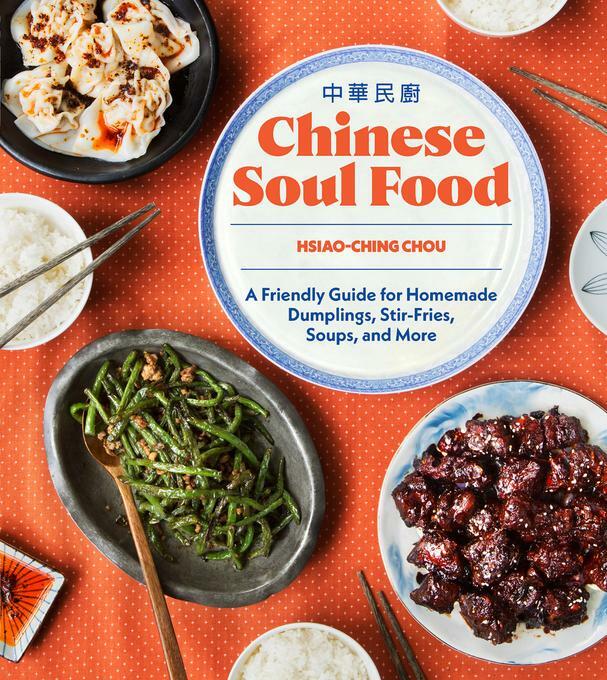 In Chinese Soul Food, a new cookbook from author and cooking instructor Hsiao-Ching Chou, you'll find 80 classic and comforting home-style recipes that can easily be made any night of the week. 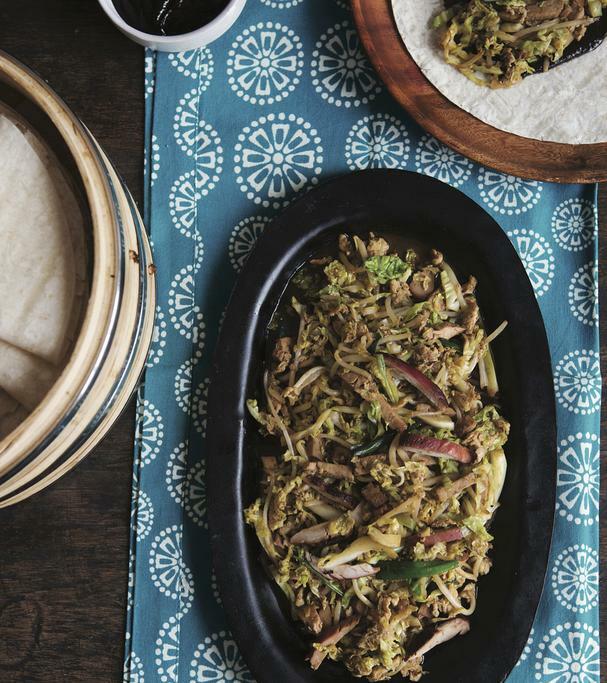 "Chinese home cooking is about being resourceful and adaptable. Any kitchen can be a Chinese kitchen," says Chou. You'll also find helpful tips and techniques, such as the various cutting techniques used for vegetables and meats, and the cooking techniques used for different dishes. Also included are the key tools and ingredients needed for a proper Chinese kitchen (including acceptable substitutions), as well a guide to understanding soy sauce, as the flavors of one can differ significantly from another, and tips on Chinese etiquette, especially the dos and don'ts of handling chopsticks. Chou is a dumpling master (her famous pot stickers class consistently sells out here in Seattle), and she begins her cookbook with a step-by-step tutorial with photographs on dumpling making. You'll learn how to make the dough, how to fill, fold, and store them, as well as how to cook them (steam, boil, or panfry). You'll swoon over her Pork, Shrimp, and Chinese Chives Dumplings with Balsamic-Soy Dipping Sauce. In Little Eats, you'll learn how to make beautiful Marbled Soy Sauce Eggs and other scrumptious nibbles like Green Onion Pancakes, Wontons and Spring Rolls, Sesame Flatbread (Shao Bing, and Soup Dumplings (Xiao Long Bao). In Rice and Noodles, you'll learn how to make a Simple Congee (the perfect soup for when you're under the weather or need a hug from the inside), and noodle dishes such as Shrimp and Pork Noodles in Broth (Dan Zi Mian) and Stir-Fried Fresh Rice Noodles (Chow Fun) with Beef (recipe below). The chapter on Stir-Fries brings more comforting dishes like the ever popular Kung Pao Chicken, along with Three-Cup Chicken, a finger-licking delicious recipe that uses equal parts soy sauce, rice wine, and sesame oil. You'll also learn how to make a proper Orange Beef, Chicken with Snow Peas, Beef with Asparagus and Shiitake Mushrooms, and more. 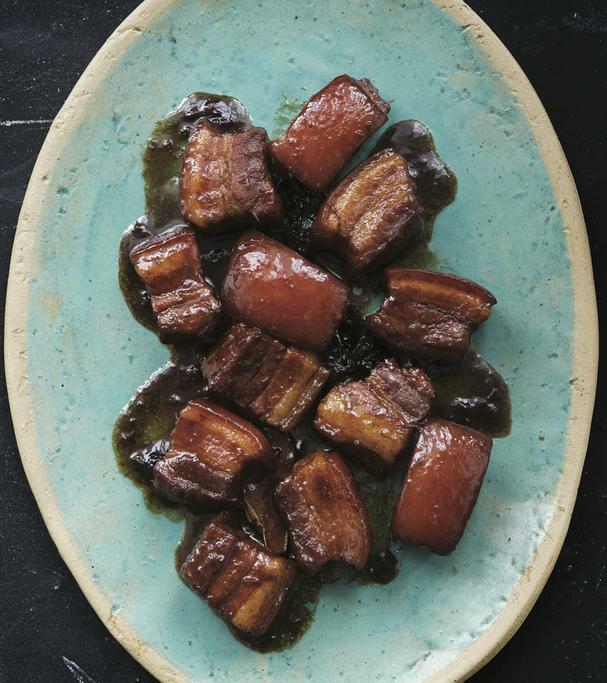 In Soups and Braises, you'll learn about red braises (braising in soy sauce) and how to make Red-Braised Pork Belly (recipe below) and Beef Shank, as dishes such as Wonton Soup, a Simple Hot Pot, Hot-and-Sour Soup, and Lion's Head Meatballs. In Celebration, Chou offers six delicious recipes like Ginger-Onion Whole Steamed Fish, Fragrant Crispy Duck, and Salt-and-Sichuan-Pepper Shrimp, as well as symbols, superstitions, and customs for Chinese New Year. 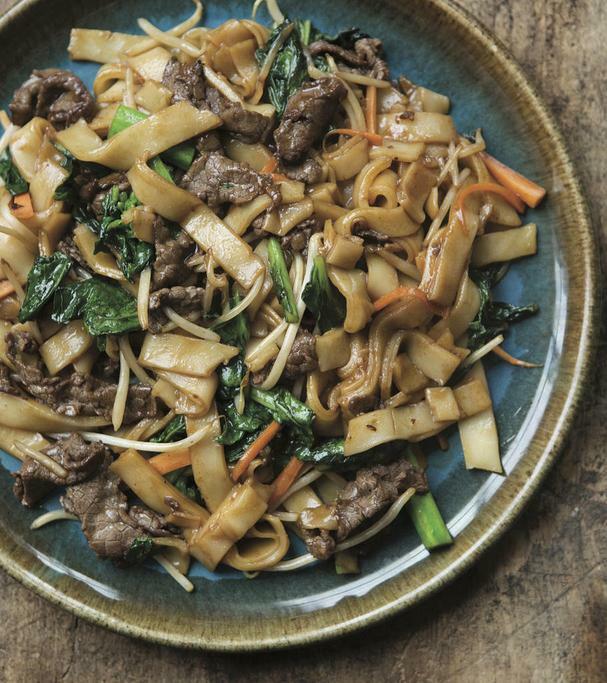 Guilty Pleasures features favorites such as Chicken Chow Mein, Restaurant-Style Egg Rolls, Mongolian Beef, General Tso's Chicken, and Mu Shu Pork (recipe below). Chinese Soul Food is a must-have for the Chinese food lover who loves to cook. Each page will beckon you to the kitchen, so don your apron, fire up your wok, and let's get cooking! 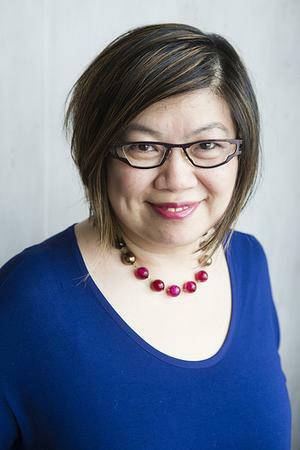 Hsiao-Ching Chou is an award-winning food journalist, cooking instructor, and communications consultant. She is a member of the James Beard Foundation cookbook committee and Les Dames d'Escoffier. She lives with her family in Seattle.